If you happen to visit Orlando and are in search of a perfect holiday destination, look no further! Aquatica is a place to go! Aquatica is among Orlando’s newest and most popular waterparks, located at SeaWorld south of Downtown Orlando. With high-speed water slides, rivers, lagoons, and tranquil beaches, this one-of-a-kind water park offers the right amount of adrenaline for adventure seekers and also makes an excellent choice for relaxation. Let’s explore some of its attractions! When it comes to rides, Dolphin Plunge unarguably proves to be the most popular attraction of Aquatica and rightly so! You may have to wait for your turn, but it is worth it. I mean, where else can you slide through a water shoot with dolphins swimming around you. For those who are looking for a thrilling watery-free fall, they can opt for Ihu’s Breakaway Falls which offers a steep multi-drop tower. When it comes to speed, the massive funnels of Omaka Rocka are waiting for you, offering a high-speed ride which may give you chills. Furthermore, you can also race with your friends in Taumata Racer’s high-speed steep hill slide and see who comes first. The Walhalla Wave and Whanau Way also allow you to slide with your loved ones so you can enjoy with your family and friends. Aquatica is not short of pools as well. The “Cutback Cove and Big Surf Shores” is an absolutely mesmerizing pool. What makes it so amazing is that it contains giant, side-by-side pools where waves are continuously rolling, offering high pack action environment to visitors. If you are visiting Aquatica with kids, you are in for an absolute treat as Kata’s Kookaburra Cove and Walkabout Waters offers an endless sea of fun with child-friendly water level and whimsical environment. Poolside Lounge Chairs – Relax along the poolside, perhaps take a quick nap to recharge yourself. Refreshing Treats – Whether you want to grab a quick bite or treat yourself with a mighty meal, there are a plethora of dining options available to tantalize your taste buds. Lazy Rides – For a more leisurely time at Aquatica, you can always head towards Roa’s Rapids or Loggerhead Lane for a lazy river ride. Aquatica is a part of a SeaWorld complex, therefore, you can also visit the park situated next door. SeaWorld is equipped with thrilling rides and hosts incredible shows. 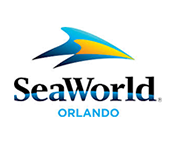 However, you may be required to purchase a multi-day ticket to experience the adjacent SeaWorld as well, which is totally worth it! 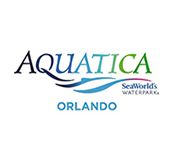 As a matter of fact, Aquatica offers extremely affordable rates. You can choose from normal tickets, annual passes, hotel packages, and upgrades, depending upon your plans and requirements. To conclude, Aquatica offers all around fun and incredible experience for both children and adults. Therefore, if you are planning a visit to Orlando, do not forget to add Aquatica on top of your list. Why go somewhere else when Florida is full of amazing and mesmerizing adventure places? If you wish to visit the calmest place in the city or want to experience some thrill, you name it and the city has it. Busch Garden is one of its kind, it is an hour away from the main tourist points in Florida. This state of the art garden is a great combination of nature and technology; you will find tremendous and exhilarating rides and come across animals. Plan a trip with your friends and family because Busch Garden is full of adventures for all ages. Let’s have a look at what Busch Garden holds for you. You will never get enough of the enlivening thrill from the spin coaster at the Busch Garden. Cobra Curse is a multi-directional coaster that holds a huge snake in which there is a 70-foot high lift that will take you up to the ride. This thrilling roller coaster ride will give you an everlasting experience. Live the moment and experience the highest ride ‘Falcon’s Fury’ at Busch Garden. The ride will take you in the clouds and give you a great drop; the tower is 335 feet high and the seats tilted, so you can enjoy looking at the floor you are heading towards. The 90-degree angled straight drop down at the speed of 70mph will leave you astonished. Come in contact with nature at the 4-acre large family spot that takes you to an exotic jungle. It is full of cascading waterfalls and gigantic trees; here you will witness white tigers and other amazing species of animals. The close interaction with animals will give you and your family a lifetime experience. The Land of the Dragons is the best place at Busch Garden; this is all a kid would wish for. The land of dragons is filled with plenty of rides specially designed for kids. The kids will enjoy each and every part of the garden and will wish to spend the entire day at this corner. The enormous garden covers over 335-acres and is a theme park based on Africa. Tampa welcomes guest to spend their life with mesmerizing memories. Don’t forget taking a map along as the park comprises of 9 themed areas and 4 animal habitats. If you don’t want to get lost while having fun in the garden, make sure you provide all your friends and family with maps before leaving. 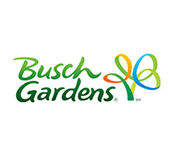 Do not miss out on the chance to visit the colorful Busch garden with your family and friends. The thrill will fill your life with everlasting memories that you will cherish for the rest of your life. You can get the chance to connect with nature and enjoy the exciting technology anytime. For instance, if the rain starts pouring during your visit to the Busch Garden, you don’t need to worry as you will get the next one for free. They won’t let your fun fade away with the rain! Witness the magical Crayola come to life at the Crayola Experience. They are ever ready to welcome you to the largest facility that offers interactive and creative adventures. It is the most colorful and creative family destination that offers 26 different hands-on attractions. Make the imagination of your kid about living in a colorful world come true. Give your child a chance to unleash his or her creative side at the Crayola Experience; we are sure you will be amazed to know how brilliant your child is. Your kid would have a chance to bring his colorful fantasies into reality. They will be provided with colorful materials with which they can create creative projects. The theme of the activity studio changes every month. The kids get a chance to be the superhero by saving the adventure lab from troubles. They can do so by solving puzzles and games with the help of technology. Combining art and technology; this section promotes digital artworks. Your kid will get a chance to draw and make their masterpiece visible on a bigger screen. He can walk up to the screen where he can touch and see them coming to life. Get a chance to see the Bluetiful; largest Crayola crayon in the world that weighs 1,352 pounds and is 15.6 feet long. Get a snap with the most famous crayon in the Crayola family. The colorful Café Crayola takes into account the needs of every person who visits the family. They offer you pizzas, salads, sandwiches and sweets. Most important of all, they also offer gluten-free items for those who are allergic. Know how crayons are made in a factory with help of a Crayonologist; he will show you how things are done in a factory setting. You will also get a chance to see Scarlet & Turk the crayon friends. Next time you are coloring with crayons you would know how they were made. For your next trip to Orlando, you should not miss out on the creative experience offered at the Crayola Experience. Let your imagination come true and fill colors in all your dreams. We are sure that this trip would turn out to be the best vacation ever. 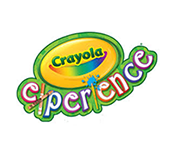 Crayola experience will bring out the hidden artist inside you and your child. Spend time with your kids on this trip and get to know how creative they are! Orlando, Florida is just the place you would want to be, with the perfect temperature and beautiful beaches, it's exactly where you would want to spend your vacation. Full of North America’s enjoyment places, you will find plenty of enjoyable things to do. Apart from the beaches, there is a very popular attraction called Fun Spot where even a whole day spent will be insufficient. The thrill of a lifetime, and that too on a reasonable budget. Where else can you go with your family to a theme park and enjoy the rides for under $100? The prices are much lower as compared to any other theme park you will find in the area. You may think that since you are paying less, the standards of the park will be nominal. However, that is not the case at all. All rides are well-maintained. The staff is helpful and friendly. The park is kept nice and clean and the best part, the lines to the rides are short. Fun Spot America happens to be one of those few theme parks which offer coupons, school discounts, military discounts, and Groupon deals. If you have a Fun Spot day pass, you will be allowed to access any ride. If you are looking for something a lot more thrilling and exhilarating than bumper cars, you will be happy to know that Fun Spot America offers their World’s Second Tallest SkyCoaster. You are sure to feel the true meaning of adrenaline rush when you take a ride on this 250 feet high roller coaster. It is a great opportunity for you to get a bird’s eye view of the entire Orlando area while experiencing the nearest thing to skydiving or bungee jumping. Fun Spot America has rides for every one of every age. Be it a kid looking for a child-friendly ride, or a teenager seeking a thrilling ride, you will find something or the other to do and enjoy. White Lightning, Orlando's one and only wooden roller coaster, is the perfect ride for the little ones to ride on. This gentle coaster Sea Serpent is the ride your kids will not want to miss. Fun Spot America offers go-kart, a four stories high multiple weaving race track for everyone to enjoy. With four different tracks to select from, this ride is accessible to kids as well as the adults. Sit behind the wheel to experience an exhilarating time and non-stop action. There is also the option for driving two-seater karts. If you want, you can have your little ones ride along with you. 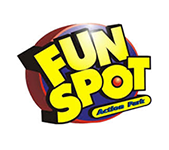 Fun Spot offers something for everyone to do and enjoy. If you are not the kind who enjoys roller coaster rides, you can head over to do some shopping, or grab a bite to eat some of their most scrumptious food. One thing is for sure: you will never be bored at Fun Spot America. Every person looks forward to having a family vacation at an exciting and thrilling theme park, where there is something for everyone whatever their age may be. Gatorland Orlando is exactly the sort of place where you would want to take your family. From the splash park to the wildlife, Gatorland offers plenty of activities. Here are some of its unique features you would not want to miss out. If reptiles are your interest, then you must make it a point to see their alligator wrestling show. These reptiles are not the ordinary reptiles you can view at any other theme parks. Visiting this park gives you a greater understanding of these creatures and you learn about their importance in the ecosystem. No trip to Gatorland can be complete without catching their alligator jumparoo show. The story behind this show is that two friends are competing with each other for a job. Whoever gets a gator to make the highest jump will be the winner. Alligators though being the main attraction are not the only species found at Gatorland. There are many other animals such as emus, giant tortoises, snakes, flamingos’ bobcats, and so much more. Imagine walking among the marshes and coming across creeping alligators enough to scare the life out of you. If you are strong hearted and have this adventurous spirit in you, then you should visit the marshes at Gatorland and be fascinated by the lurking alligators in a completely safe setting. You will find it fascinating to see alligators up close. This biological garden provides nesting birds which you will catch sight of on your way. This is a chance of a lifetime for you. You may have fed breadcrumbs to birds and ducks, or bananas to monkeys. Now here is a chance to feed an alligator. Gatorland is filled with opportunities to feed birds for a small amount of just $2. And enjoy them fluttering around you as you feed them. These birds are extremely friendly and will not hesitate to sit on your hand or shoulders. You will be thrilled by their close proximity as they feed out of your hand. Gatorland being a huge park with lots to explore and see, you would want to get aboard their train. You will get a ride around the park where you will catch sight of crocodiles, alligators, deer and many other species. Mostly when people go to the zoo’s they are not allowed to touch the animals. Gatorland has their own petting zoo where your kids are free to touch the goats and cows to their heart's content. 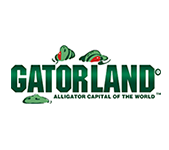 Gatorland is a learning experience for children and elders alike. It’s an incredible learning experience that brings you close to nature and to appreciate it. You can spend the whole day at Gatorland and wish for the day to never end. Your kids will love to share their stories after spending a wonderful day at this theme park. Orlando is famous for theme parks, hosting more than a dozen renowned theme parks such as Walt Disney World, Islands of Adventure, and Universal Studios Florida, to name a few. One of these most lucrative and amazing theme parks includes Legoland. With over 50 rides, shows, and attractions, Legoland makes a perfect spot for families looking for an ultimate vacation experience. It is not an everyday theme park. It is a resort providing multiple attractions such as waterparks, rides, accommodations, dining, shows, and entertainment, among many other exciting options. Let’s take you to a chronological guide about Legoland! The fun begins as soon as you step into Legoland. They have designed a mesmeric colorful area “The Beginning”, which offers park entry, tickets, passes, guest services, and much more. Their courteous and friendly staff members are dressed as Lego model citizen offering assistance and providing an answer to each of your queries. For shopping, they have Big Shop, Market Restaurant, and Package Pick-up Service right at the start of your journey. Moreover, they also have a stroller, wheel, and ECV rentals to make your day easier, and if you skipped your breakfast, you can always grab a slice of pizza from Pepper & Roni's Pizza Stop. The real fun starts at Fun Town! The Wells Fargo 4d Theater hosts 4-D movies throughout the day. It contains 700 seats so you will never have to miss out or wait in queue for immersing in captivating and fascinating Lego movies. Moreover, there is no Lego brick that is not available in the LEGO factory. You can even build your own mini figures at Minifigure Market. After these fun activities, you can satiate your hunger through all you can eat option at Fun Town Pizza and Pasta Buffet. If you want to indulge in some snacks, Fun Town Slushies and Granny’s Apple Fries are there to satisfy your cravings. MINILAND USA takes you on a trip to famous landmarks of California, Las Vegas, New York City, and Washington DC all in a single day. This place is a wonderful piece of marvel and its creation took more than 32 million Lego bricks. Moreover, MINILAND USA also features Kennedy Space Center, Lego Star Wars, and Pirate’s Shores. The list goes on! 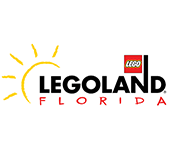 Duplo Vally, Lego Kingdom, Land of adventure, Lego City, Imagination Zone, Lego Technic Pirates Cove, Cypress Gardens, Heartlake City, Lego Ninjago World, and many other places are waiting for you. Get ready to splash, slide, and enjoy your heart out at Legoland. From Build-A-Raft lazy river to wave pool, you will be astonished to see the options available for you to experience. Adventures like Joker Soaker and DUPLO Safari, coupled with fun tubes and body slides make it an amazing place to soak up in lots of fun! Also, do not forget to get beach street tacos which are served with a side of tortilla chips. To conclude, it is imperative that you explore the creative and imaginative world of Legoland during your next trip to Orlando. This place is heaven for kids but can be equally fascinating and enjoyable for adults. The concept behind its design is one of its kind and the interactive activities, amenities, and attractions of Legoland truly make it an ideal family destination. Madame Tussauds Orlando does not require much of an introduction. It has become one of the most eminent tourist attractions in Florida in the past few years. Madame Tussauds is renowned and acclaimed in the entire world for the creation of highly detailed and lifelike wax statues. These wax figures pay homage to famous people coming from different walks of life such as celebrities from movies and TV, musicians, famous sports icons, and remarkable figures from pop culture and history, amongst others. Therefore, if you want a selfie with Taylor Swift or strike a pose with Ali, Madame Tussauds Orlando is the place you should go! Each wax sculpture of Madame Tussauds is a marvel of artwork and craftsmanship, which involves a team of highly skilled artists and professional sculptors. They spend a considerable amount of time on research and take more than 500 measurements in order to refabricate worlds’ renowned celebrities. The realism and high level of detailing that go in each sculpture is a testament to their prodigy and heart of their legacy. Madame Tussauds presents an excellent opportunity for visitors to enjoy themselves and get dazzled by providing an ultimate fame experience. Madame Tussauds Orlando captures the true essence of the United States of America with interactive and immersive wax figures, full of family fun and entertainment. You can move around themed areas and meet your favorite celebrities ranging from modern world leaders and sports stars to top Oscar-winning film actors and music legends. You can get an ultimate selfie with Leonardo DiCaprio or perhaps shake hand with the president. If you are a DC fan, you have a constructive obligation to visit Madame Tussauds Orlando as it features all Justice League stars. These wax statues are crafted with perfection and look so real that it can be extremely difficult to identify that they are not actual celebrities but wax figures. Perhaps this is the reason Madame Tussauds is regarded as the top wax museums. To be precise, it is not a wax museum, but a wax attraction as you can touch and interact with statues. Furthermore, if you are interested towards antiquity, you can also enjoy presentation videos pertaining to the history of Madame Tussauds and how wax sculptures are made. In addition to that, each wax statue also includes a concise biography on the wall containing attributes of the person. In addition to beautiful and precise wax sculptures, you can enjoy ICON Orlando, which is a 400-foot observation wheel. Moreover, you can enjoy the immersive underwater experience at Sea Life Orlando Aquarium. It is no short of dining options as well as it boasts the finest and newest dining and entertainment complex right in the heart of International Drive. Madame Tussauds cares about its guests; therefore, they have designed their facilities to be fully accessible to guests who are differently able. Their trained staff is available on every floor to provide assistance to guests. As a matter of fact, they have an elevator dedicated for this purpose and every area is wheelchair friendly. In addition to that, their website is also easy-to-navigate, especially for users who are differently able. To conclude, Madame Tussauds Orlando is a must visit place in Orlando. Just don’t forget to bring your camera to take lots of photos of your favorite celebrities. If you are looking to take your family out to a dinner theater, you must make a visit to Medieval Times. 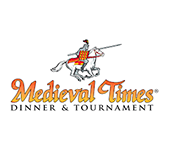 The dinner show features staged jousting, sword-fighting, and medieval-style games along with a 4-course meal presented in a castle-like setting. If you want to spend a memorable time while visiting Medieval Times, here are some tips to ensure your experience is a delightful one. Make the most of your trip by arriving early to explore the entire Medieval Times Orlando premises. Walking through Medieval Life Village will be an experience like never before. You will see in-depth views of what were the Medieval times by walking through the exhibition with displays and real artifacts. While you are having a scrumptious meal, you will be kept entertained throughout. Get ready to see a medieval-style show with knights in their shining armor. Although you don’t get an opportunity to choose your own knight, be prepared to cheer him to help win his victory. Medieval Times highly encourages crowds to show their support. You will receive a paper crown according to your Knight’s color, which you can wear with great pride to show your support for your handsome and strong Knight. The dinner show at Medieval Times is mostly a medieval jousting tournament for a time duration of two hours. In this tournament, six knights compete while riding beautiful horses and using real weapons. This tournament is the key event that the entire family will find very entertaining. Your youngsters will be sitting on the edge of their seat in excitement and anticipation. The storyline is such that even your kids will have no trouble following with the narrative. You will be mesmerized by the grand horses. The knights have put in a lot of skill and practice to do impressive tricks with their weapons. As the night goes on, the stunts will get more and more difficult. You do not need to worry about any flying objects coming your way. Medieval Times has arranged for nets to be raised so the crowd is safe and protected. As per the true medieval tradition, you did not need to use any utensils to eat your food. You used your hands. Keeping that tradition intact, Medieval Times will not lay down utensils to eat your food. However, if you wish to eat with utensils, you are always welcome to ask the server. The menu is presented on the napkin as a way to let you know the courses that will be served during the course of the show. In case if you have special dietary needs, your server will be sure to ask you when you are seated. If you are traveling to Orlando then be prepared to witness some real thrill and adventure in your life. If you are a person who loves ecstasy then Orlando is the place for you as this amazing city offers a great deal of amusement and adventure parks. Even if you are traveling alone, or with family or friends, you shouldn’t miss out on the unforgettable experience of the Old Town. It is the regeneration of the Florida town that presents and highlights the historical architecture. The Old Town offers guests a step back into the past times when things were simpler and easier. You will find the place more realistic that encompasses unique shops, rides, dining spots and engaging attractions for the whole family. If you are traveling to take a tour of all the amusement parks in Orlando then it is a good news for you that all these remarkable places such as Disney, Universal, Sea World, and International Drive, are just minutes away from Old Town. The town spreads over 18 acres of land giving you a large space to wonder and explore during your visit. There are over 70 exclusive shops that have some exceptional and affordable things for you and the fine restaurants and small bars offers a great variety of local food. Spend some quality time with your family while you leisurely walk down the tree lines brick streets. You will find some exceptional full-service dining restaurants that offer different cuisines. Moreover, there are even several fast-casual spots like Go Nuts and Auntie Anne’s if you are looking for something to munch on during the exploration. Hang out with your friends at the local bars during night and enjoy locally brewed beer and move on the beat of the dance floor. Relive the moments of being together in family centers for some real fun like the old times. The Old Town gives you an opportunity to connect with each other at the Happy Days Family Fun Center. Enjoy playing over 50 games in this center; it offers great things for all ages. Collect tickets after you play games in the center and get amazing gifts in return. These gifts will remind you of the great day spent in the Old Town. If you are ready to participate in their weekly special events then plan your trip in a way that you can enjoy the Latin Sunday, Throwback Thursday, Family Fun Friday and Club Party Saturday. For some thrill and chills, visit the Old Town on Wednesday and Sunday and get a chance to experience the haunted Mortem Manor. This haunted attraction is designed and produced by the world famous Extreme Fear Design & Production from Pittsburgh. The two storied haunted house is full of state-of-the-art animatronics and live performers that will give you shivers down the spine. 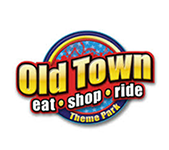 To stay updated on what new the Old Town has to offer you, all you need to do is sign up on their official website. The Old Town is a great place for some interactive and quality time with family. They invite you to experience the simple pleasures of classic American fun. Nothing beats the experience of flying in the sky. It can be a once in a lifetime experience which cannot be articulated in words. Many adventure seekers opt for skydiving, bungee jumping, and other extreme sports to satiate their adrenaline levels, but some individuals may not be willing to indulge in these risky activities. If you belong to the latter group of people, this certainly does not mean that you cannot fly. And yes, I am not talking about a plane. A hot air balloon can be an excellent choice for you, providing an opportunity to delight yourself with serene aerial view and ecstasy. And while you are looking for a balloon ride, what place better than Orlando? Once you hop in a basket of Orlando Balloon Rides, you will be astonished to see the beautiful and panoramic landscapes. In the 3-4 hour fun-filled and adventurous balloon ride, you are surely going to appreciate the picturesque and mesmerizing view of Orlando, smoothly rising towards the sky while surrounding with clouds as the wind takes you far away. The journey begins one hour before sunset, allowing you to relish tranquil and peaceful hour of floating above the many attractions in the Orlando City. Flights leave from multiple locations in the Walt Disney World Resort area. Inflation only takes about 20 minutes and then you are airborne! Once in flight, a friendly and courteous pilot will give you a tour of some outstanding and spectacular sights, ranging from beautiful theme parks in the city to the ancient forests that may leave you astounded. Frankly speaking, Orlando balloon rides is not a regular tourist attraction, it is an opportunity to experience Florida like never before. These flights are available 7 days a week, 365 days a year, of course depending upon the weather conditions, which brings us to the next point: Safety! 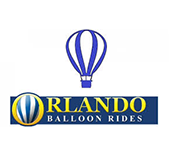 Orlando balloon rides maintains the safety of its guests as their top priority. Therefore, in case of adverse weather conditions or any other issues pertaining to the safety of flight, the trip is canceled without any compromise on safety being made. Moreover, all their flights adhere to all FAA safety standards for passenger-carrying commercial balloon operations. In addition to that, every pilot is FAA certified, highly experienced and are a full-time professional. This can be particularly reassuring for people who like to play it safe and those who are in pursuit of a thrilling yet a reliable and secure option. After completing a breathtaking trip and indulging yourself with serene views, when you finally land, you are hosted with a traditional champagne toast to celebrate your wonderful flight (non-alcoholic beverages are also available). To conclude, if you happen to be in Orlando or planning a visit to Orlando for vacation, do not miss this amazing experience of Orlando balloon rides. You do not want to miss a majestic aerial flight, gliding through the air on high altitude, and feeling the breeze as your balloon moves course towards the sky. Orlando Eye is now known as Icon Orlando 360; it is one of the magnificent tourist points in Orlando. You will find plenty of thrilling amusement parks in this beautiful city but the Icon Orlando 360 is one of its kind. The gigantic ferry wheel will give you 360-degree views of the beautiful city that no other ride in any amusement park can. The moment you look at the 400-foot tall ferry wheel, you will be mesmerized to see how enormous the wheel is and still, it looks so delicate and sophisticated. Adore the exquisite scenery while sitting in the capsule of the Icon Orlando with your friends and family. If you want to make most out of the experience then go for a ride during a sunset and witness the golden sun setting down beautifully; we assure you that this scene will stay in your memories for the rest of your life. It’s not only the massive wheel that will surprise you but there are a lot more other attractions than this which will leave you amazed including the new center of entertainment for the locals and tourists. 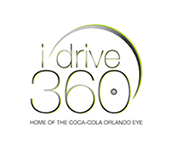 Let’s look closely at what Icon Orlando 360 has to offer all its prestigious guests. According to the vice president of marketing, sales, and public relations Cindy Campbell-Taylor,"The new ICON Orlando name blends seamlessly with the attraction as we've made some major changes from this iconic structure into the future"
Here are some new attractions that will leave you and your families delighted. If you have enough courage to sing in the air then you must try the Orlando StarFlyer; the ultimate swing will make you feel like you are flying high in the sky. Accompanied with your friend or spouse in the two-seat swing and locked with harnesses, you will be taken at the height of 450 feet above the ground and will be rotate 360 degrees at the breathtaking speed of 45 mph. This swing will be one of the spine-tingling rides that will make you feel incredible. You have a chance to fly high up in the sky as well as explore the depths of the sea. The 360-degree ocean tunnel will let you explore the marine life. Have a close contact with nature and witness the mysterious creatures of the sea. Your kids will be super excited to see sharks, turtles, octopuses, seahorses, stingrays to name a few. Icon Orlando 360 is all in one entertainment spot that will fill your life with mesmerizing memories. If you are in Orlando as a tourist then make sure, visiting the hub of entertainment is scheduled for the trip. Book your tickets beforehand to avoid rush as everyone is going crazy to try the exciting rides on offer. Avail discounts on early booking of rides and private capsule of the gigantic Icon. Dare yourself and try the thrilling rides for once in your life and cherish the memories for the rest of your life. Orlando is a vibrant and lively city in central Florida that’s bustling with different attractions. This magnificent city offers several interesting things to do for the whole family. One of the best places that are worth a visit include SEA LIFE, a popular aquarium that beautifully displays various marine life. SEA LIFE is a crowd favorite since its inauguration in 2015. 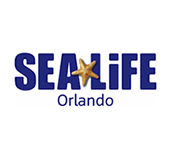 If you’re an ocean lover or if you are looking for fun things to do in Orlando, SEA LIFE is the best place to explore the wonders of marine life without diving into the depths of the Atlantic Ocean! SEA LIFE Aquarium in Orlando is the perfect place for the entire family. Wait until you hear about the unique marine experience that awaits you! Get ready to be impressed because SEA LIFE has over 5,000 sea creatures in glorious exhibits! Each exhibit is designed to mimic the actual conditions of an ocean, which is a true delight to witness. HOW TO GET TO SEA LIFE? SEA LIFE Aquarium is located at ICON Orlando 360, right in the heart of International Drive. The Aquarium is 9 miles away from Downtown Orlando and 29 miles from the Orlando Sanford International Airport. There’s plenty of car parking space so you don’t have to worry about searching for a good parking spot. The exhibits at SEA LIFE are designed in such a way that brings its guest as close to nature as possible. The bubble aquarium is a picture-perfect way to get an insight into the marine life under the ocean. The floor-to-ceiling displays are an ideal way to explore the beautiful marine creatures; the aquarium is home to over 400 species of sea creatures. Come and experience life underwater in the immersive floor to ceiling displays! The impressive exhibits offer an interactive fun for everyone! Children can learn about marine life and witness the wonderful underwater world from a 360-degree view of the sharks, glowing jellyfish, turtles, clownfish, stingrays, octopus and many other sea creatures, a visit to an aquarium cannot get any better than this! Plan a day trip to SEA LIFE with your family today! The SEA LIFE aquarium has a popular exhibit called the Live Touch Pool. If you have children who would love to actually touch and feel a living sea creature, they will love the Live Touch Pool! Get up close and personal with real sea anemones, sea urchins, starfish, and other types of tiny fish! If the 90-minute visit to SEA LIFE isn’t enough, there’s more for children to have fun, enjoy and explore! Take your children to the interactive play area. The play area is colorful, safe and a perfect place for children to get busy and have a ton of fun in this massive two-story playground with the underwater theme! SEA LIFE is a part of the new ICON Orlando 360 Entertainment Complex, visitors can enjoy a bird’s eye view of the beautiful city of Orlando from the ICON Orlando Observation Wheel. The city of Orlando is packed with an abundance of tourist destinations that leave many visitors flabbergasted. From Universal Studio to Madame Tussauds, there are a plethora of destinations that are one of a kind. One of these amazing attractions includes SeaWorld. It is an ultimate combination of fun and entertainment. Let’s check out what if offers! SeaWorld Orlando is equipped with state-of-the-art rides and attractions. You can ride on the water in Infinity Falls, Journey to Atlantis, and Flamingo Water Boats, River rides and large central lake. Infinity Falls – Infinity falls allow you to discover the lost jungle river around mesmerizing fountains and waterfalls. Journey to Atlantis – Journey to Atlantis is ideal for enthusiasts who are seeking water ride thrill as this ride allows you to explore dark, watery passageway all the way to the sunken city. Flamingo Paddle Boats – Flamingo Paddle Boats provide you a leisurely trip of SeaWorld Orlando's large central lake. SeaWorld is no short of roller coasters as well as it has three roller coasters namely, Mako, Kraken Unleashed, and Manta. Mako – A frenzy coaster famous for high speeds with thrills around every turn. Kraken Unleashed – It is one of the highlights of SeaWorld Orlando, a monster coaster like no other. Manta – Manta is on one of its kind, spin, skim, and fly like a bird in this breathtaking roller coaster. Moreover, you can also enjoy and have great fun in other attractions such as Antarctica: Empire of the Penguin (Ride), Turtle Trek, Wild Arctic, Sea Carousel, Seven Seas Railway and the 400-foot Sky Tower. Rides and roller coasters are not the only attractions of SeaWorld Orlando. It is also widely renowned and popular due to various shows providing great entertainment to guests. Dolphin Days – Dolphin Days is a festive celebration of an Atlantic Bottlenose Dolphin which is considered as the ocean’s most playful and jolly ambassador. Ocean Discovery – Ocean discovery is an informative show, a great way to learn about killer whales and other species of whales. One Ocean – One ocean takes you on an amazing trip into the realm of majestic killer whales. Moreover, you can also enjoy in Pets Ahoy, Clyde and Seamore's Sea Lion High and festive Sesame Street's Countdown to Halloween. To conclude, SeaWorld lives up to its name and a different world within itself. With so many rides, attractions, and activities, it makes an ultimate tourist destination. Therefore, you should plan an entire day in order to make the most out of your trip at SeaWorld. They also provide hotel packages so you can save time and parking worries and explore the entire facility with a peace of mind. You can also upgrade your day anytime you want! When you are on vacation, every single day matters. Therefore, you should try to make the most out of it. If you chose Orlando for your holidays, you are in luck. There are a plethora of places such as Universal Studios, Seawater Park, Aquatica, amongst other tourists’ attractions that you can visit with your family and friends. Sleuth’s Dinner Shows happens to be one of them. Located at 8267 International Drive, beside The Orlando Eye, Sleuth provides unlimited entertainment with a comedy mystery show where you assume a role of a detective and help in solving a crime. You can also be chosen to play a cameo role. 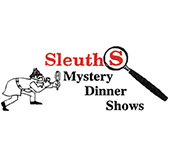 Sleuth’s Dinner Shows is the longest running mystery dinner show in Orlando. You can make excellent memories in 2.5 hours that you may cherish for years to come! The evening starts in one of their exquisite theaters where you are treated like an esteemed guest by our characters. You are served with salad, dinner rolls, crackers and signature spread of gooey cheese while you look for clues of anyone suspicious. Moving on, you can enjoy a hilarious session of 45-minute comedy mystery. In this session, all the clues are present to the guests. Therefore, you try to help them to solve the crime. Meanwhile, you enjoy a tantalizing dinner as you sit on your table with your team, strategize, and formulate questions for asking in the live interrogation. Afterward, all the guests and detectives move around the room. They let each table to ask questions and uncover additional clues. However, it is not a typical crime-solving game. You will literally be laughing out loud on improvisational comedy, meanwhile solving the crime at the same time. The evening comes to its end with a delicious “mystery” dessert. You have to make your final guess to figure out who is responsible for the crime. After that, detectives unveil the truth and reveal the actual criminal. Those who manage to successfully guess the correct answer are rewarded with fun prizes. Before the show, you can treat yourself with Fresh greens salad, assorted crackers and signature cheese spread, dinner rolls with butter and Cold hors-d'oeuvres. Honey-glazed chicken with herbed stuffing, sweet potato, sautéed vegetables, and cranberry sauce. Prime Rib dinner with a side serving of baked potato and crunchy vegetables. Four Cheese Lasagna (with or without meatballs) with smoky vegetables and scrumptious garlic bread. Steamed vegetables, squash, and noodles made with zucchini along with a side serving of baked or sweet potato. For children, they have specially designed child portioned meal including chicken tenders, mac-n-cheese, and green beans. Guests are also treated with mystery dessert in the end. This dessert… wait, let’s keep it as a mystery! To conclude, Sleuth’s Dinner Shows presents a perfect opportunity to bond with your family and friends over a mystery case based on a funny, quirky, and interesting storyline. Delicious food, great wine, unlimited beer, you cannot ask for more than that! Therefore, if you are in Orlando, you must definitely visit Sleuth’s Dinner Shows. When visiting Orlando for vacations, most people head towards popular tourists attractions such as Walt Disney World, Aquatica, Madame Tussauds, amongst others. These destinations are definitely a treat and allow you to make memories that may last a lifetime. However, if you are on a trip with your friends, want to pick up a notch and do something different, Escapology should be on top of your bucket list. 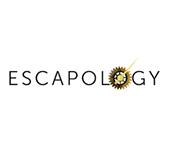 Escapology provides premium real-life escape game experience. You can pick up to 9 players to participate in escape games by working and collaborating together to find clues, solve mysteries, and unlock locks that will provide you the ultimate freedom. There are seven different games that are available, let’s briefly discuss few of them. The storyline of this game is quite interesting. You are invited for a holiday by a school friend who apparently amassed incredible wealth. However, things do not go as planned as it turns out that he is involved in smuggling and asks you to smuggle some suitcase in the U.S. You get 1 hour to gather evidence and escape the mansion. Difficulty Rating 8.1/10. This game is for adults, minimum recommended age 15. You play a CIA Field Operative who is reporting directly to the U.S. President. The world is facing nuclear Armageddon, an American spy plane has been shot down, and your mission is to infiltrate Fidel Castro’s palace, locate the secret KGB office, and find the perpetrators behind shooting down the plane. You get 1 hour to find answers to the clues, solve the riddles, utilize the critical intelligence and leave the facility within an hour. A high-ranking chemical weapons specialist Dr. Walter Brandt, who was working for U.S government has gone rogue and possess a deadly virus. You are a part of a team of scientists who are tasked to investigate antidote before enemies get their hands on to the virus. However, a member accidentally exposed the entire team to the virus. You get 1 hour to find the antidote through a series of puzzles, riddles, and codes. Budapest Express takes you to an exciting train journey where you along with a fellow detective member is on your way to Budapest in order to meet with other detectives to showcase the latest progress in crime scene forensics. However, there is a murder on the train. You have narrowed down to 5 suspects, but your reputation as a brilliant detective is at stake as you have to solve puzzles and riddles to solve the murder and you only have an hour to find the killer. These are only four of the seven brilliant and strategic games that are devised with brilliant plot lines and characters. Solving mysteries with your friends will allow you to bond together and can be quite interesting for a change. Roleplaying also tends to improve your cognitive skills and decision-making capabilities. Escapology provides it with an abundance of fun! Therefore, if you are planning a visit to Orlando, do not miss out on Escapology. You and your family will have the best vacation of their lives in Orlando because there are some amazing adventure parks, theme parks and a lot more for you. Take out your wish list and see them coming true in the magical city; Orlando. Jumping off the plane and flying in the sky like your favorite superhero is one of the wishes in your list but the fear of heights is stopping you from fulfilling it. Plan a visit to iFly World, a place where you can fulfill your dream and fly without being scared of heights. If the idea of flying is exciting to you then you should not miss out this place. 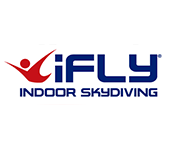 Let us give you an overview of what iFly World has to offer you. Skydiving without jumping off the plane is now possible because of the technological advancement. A stimulation is created which makes you feel that you are in the air and enjoying the freefall. iFly World has vertical wind tunnels that are equipped with fans which fill the chamber with air and sweep you off your feet, and in an instant, you find yourself in the air. It will give you the same feel of diving off a plane and experiencing a freefall. All you need to do is book a flight and they’ll take care of the rest. You are just a few steps away from fulfilling your dream to fly in the air like your favorite superhero. Follow the simple procedure to book a flight on the website; it starts with selecting your location and type of flyer. After booking your tunnel fill in a waiver; and to avoid any kind of inconvenience you are supposed to arrive at iFly World 15 minutes prior to your scheduled flight. They will get you dressed for the best time of your life; with a flying jumpsuit, goggles and helmet on, you will be ready to experience the power of flight. Learn the art of bodyflight at any location of iFly; no matter if you are 15 or 45 any one can excel in this sport. In order to polish your skills, get in contact with them and they will assign a trainer who will coach you and prepare you for the completion. There are 5 levels of training before you reach the completion level. If you have a specific place in your mind from where you want to experience the freefall, then your wish can be granted with help of virtual reality. At iFly you can experience a fall from 13,000 feet without a parachute and feel the adrenaline rush through your body. They already know your bucket list destinations and they are combining the skydiving experience with virtual reality. Let adrenaline rush in your body and fill you up with the feeling of freedom; making the moment last with you for a forever. Never miss out a chance to embrace the power of freedom; book a flight that involves no plane nor parachute. Take your kids along and make the best out of life at iFly World. If you wish to take your family on a trip and get a bird’s eye view while taking in all the sights Orlando has to offer, then what you need is to take a helicopter ride. This is the perfect way to gaze down from the blue sky and catch sight of the well-known Florida theme parks. The experience of being high up in the air is an adventure in itself. If you wish to fly over Disneyland, Universal Studios, SeaWorld, and more taking a helicopter ride is the way to do so. You can also choose to go on their 25-minute Celebrity Grand tour and fly above the Butler Chain of Lakes, all main theme parks, and the residences of some rich and famous individuals of Florida such as Tiger Woods and Vince Carter to name a few. 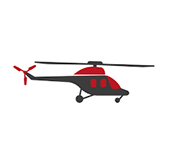 Thanks to the variety of options you can get for your helicopter flight, you can arrange your time schedule according to what suits you best. No need to worry about the helicopter ride being out of your budget. You can sit back and have the time of your life at a nominal cost. You get the freedom to choose from six different tours that are devised to cater to all budgets. All taxes, service fees and fuel surcharges are included in the cost charges of the helicopter ticket so you won’t have to worry about paying any extra or hidden charges. Once you reach the International Drive Area, you are requested to head onwards and board your flight. It is entirely up to you; where you want to fly, how long you wish to be in the air. You will be provided with an itinerary to learn about different flight options. If you wish to go on a shorter flight, it is recommended you book a helicopter ride for a tour over SeaWorld. This will be a great chance for you to see Discovery Cove and Aquatica. Those who prefer to stay in the air for a short period of time, your best bet is to take a flight and soar over Universal Orlando Resort and SeaWorld. If you are a Disney lover, you can’t miss this chance to fly above the well-known Disney water parks, Animal Kingdom, Epcot, Hollywood Studios, and more. If you are one of those who wants to stay up in the air for as long as possible, you need to book yourself a Disney and SeaWorld helicopter tour. When people think of amusement parks and the rides in Orlando, the only thing that comes to find are the attractions that theme parks offer. What they don’t realize is that there are plenty of other rides to help them get beyond the walls of SeaWorld Orlando, Universal Orlando Resort, and Disneyworld. In fact, you will find the experience of taking these rides to be much more thrilling as compared to a ride on any roller coaster. 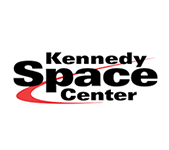 For space enthusiast all over, Kennedy Space Center awaits you! For the ultimate space adventure combined with outdoor fun, a magnificent IMAX Theatre, astronauts and rockets, Kennedy Space Center has something for everyone! If you are living in Orlando, getting to the Kennedy Space Center is easy! The Space Center is just 60 miles east in Cape Canaveral the epicenter of all U.S. space activities, on the majestic Atlantic Ocean. Give your family an easy day trip full of fun, learning, and adventure! Relive some of the most historic moments in American history. Marvel at the many wonders of the space in beautifully elaborated exhibits. Witness an awe-inspiring rocket launch, or relax on the wonderful Florida beaches when you visit Kennedy Space Center. HOW TO GET TO THE KENNEDY SPACE CENTER? Love the space? Kennedy Space Center has something for space lovers and the entire family. Plan a visit with your family if you are living in Orlando! Getting to the Space Center from Orlando is easy. All you need to do is take the Highway 528 or the 408, let us remind you that they are both toll roads! So the best approach is to keep the change ready and the entire toll cost for the trip is around $8. Most rental cars are already equipped with the SunPass Express lane. But if you are driving with your own car, make sure that you have change for the toll and remember to fill up the tanks as there aren’t many gas stations on the way. HOW MUCH WILL A VISIT COST YOU? The cost of the trip depends on the number of people visiting. Let’s suppose you have a family of four then the parking and admission fees collectively will cost you $208 for admissions only. The rest of the cost depends on the number of attractions and activities that you choose. You can easily spend a minimum of 5 hours or an entire day if you plan to see everything! The Saturn V Rocket is a must-see for everyone! This magnificent exhibit is dedicated to walking on the moon, the biggest feat of humanity. You can see the actual mission-command center, the rocket, and the newspaper headlines from that glorious day will take you back in time to that historical moment. The Atlantis is another wonderful exhibit paying homage to the efforts by NASA in the 70s to create the first reusable orbiter. From its historical first launch in 1985, the Atlantis made over 32 missions that includes flying 126 million miles in the next 26 years. The Atlantis is hiding behind a giant curtain and the moment of revelation hits the crowd as the curtains open to reveal the actual Atlantis! Everyone dreams about becoming an astronaut but here’s your chance to actually meet one! You can visit the ‘Honor Our Heroes’ and pay homage to the many astronauts who lost their lives in the 1986 Challenger incident. If you are lucky, you can witness an actual rocket launch from the nearby Space Canaveral.